Then a miracle began the very week that I received this challenge to do something new. My oldest daughter called me and said that she had looked at her husband’s family on FamilySearch and was trying to figure it out. She asked if we could get together and work on genealogy. My youngest daughter had some time during spring break that week and wanted to come home and work on genealogy. She had expressed some interest earlier, but our attempts to actually do anything were frustrating. There was never enough time and it was easier for me to just click away and do things than explain in a way that made sense to her. So we picked a day and planned for all three of us to get together and do genealogy. Our efforts that day had a frustrating start due to Wi-Fi issues and my youngest getting somewhat sidetracked composing a Family History Rap. Once we got going things started to click. I felt that we accomplished quite a bit that afternoon. The internet is second nature to them and they are quick learners. They were easily searching records and adding information to the respective families they chose to work on. My youngest worked on the Stark line, which also intrigued me and was easy for me to join in. The real miracle is what happened after. For over a week my youngest called and and texted several times every day and into the nights. She stayed up into the wee hours digging into this family – losing sleep doing genealogy! After she started back to school it continued. (Should I be worried about her grades) She scribbles notes and diagrams like I do. At my suggestion she emailed someone who had contributed to this family. It seemed awkward for her, but I think she has learned as I have that finding distant cousins to collaborate with can be a good thing. These two sisters got together and had a spontaneous genealogy sleep over working until 3:00 a.m. on the oldest’s husband’s line. Then the multiple calls and texts got going with the oldest. The line she was working on was not coming together as easily as the other, but with persistence and a little guidance she was learning interesting things. I found myself part of two different tag teams at the same time. My daughters would each ask questions or tell me about a certain person or a record they found and then I would get online to take a look at what they had done and see what other records I could find or suggestions to make. One night I was looking at a family which appeared to have children that didn’t belong there. After checking out some sources, I returned to find a child I had looked at was no longer there. I thought I was loosing it until I found that my daughter was online at the same time and had removed this child after concluding as I had that she wasn’t their child. If working with two daughters wasn’t enough, the third daughter also got into it as well. She had wanted to for some time, but had just had a baby when all this started. Soon we were searching for her husband’s family. I have found the pace my daughters have set to be dizzying at times. I learned years ago that research online is much faster than scrolling through microfilm during weekly trips to the Family History Library, but with 2 working online simultaneously on multiple generations and texting back and forth, it can be crazy. They get way ahead of me some days. Maybe it will slow down over time? They do have lives too. 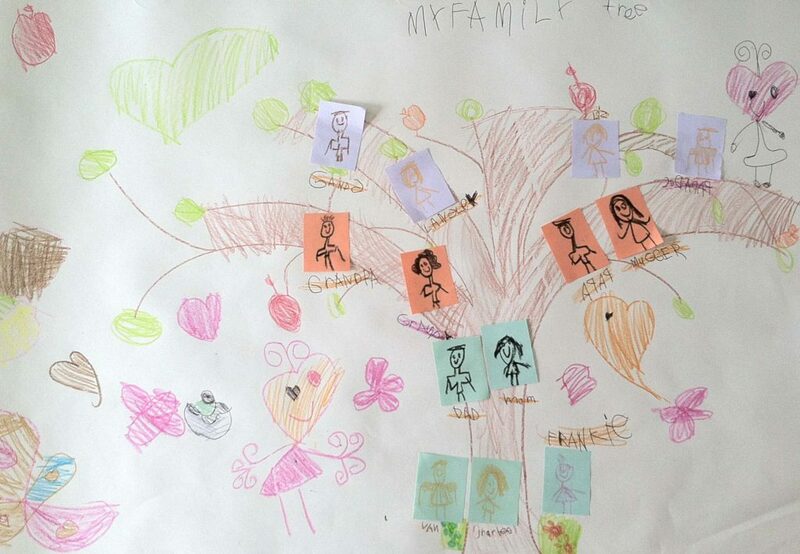 It is wonderful to see my daughters excited about adding people to the family tree and learning about them and their lives. I can see that these people are real to them. They are interested in the details of their lives and have formed real connections with some of them. I may have unleashed a monster. I couldn’t be more proud. This entry was posted in My Stories of Discovery and tagged research. Bookmark the permalink.